KRASNODAR, March 16. /TASS/. 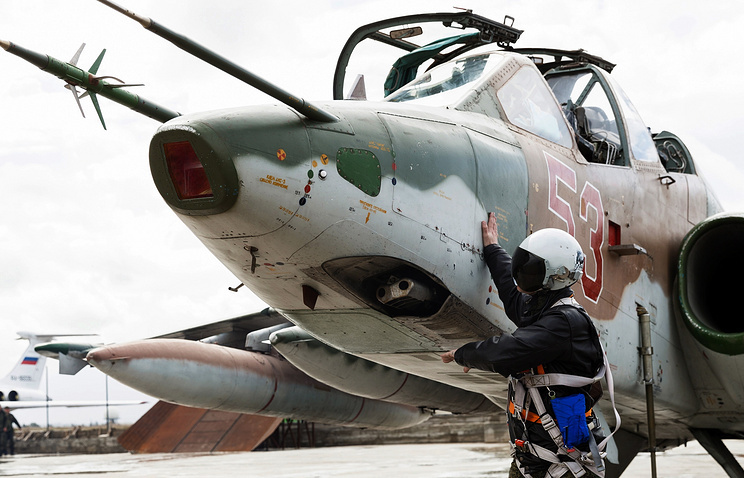 Russia’s Sukhoi Su-25 attack aircraft during the operation in Syria flew more than 1,600 sorties to have dropped 6,000 air bombs, the commander of the Southern Military District, Alexander Galkin, said at a welcome ceremony minutes after a group of fighter-bombers returned from Hmeimim, in Syria, to their home base. "After a prolonged assignment away from home we are welcoming back our best pilots. They have coped with all of their tasks. 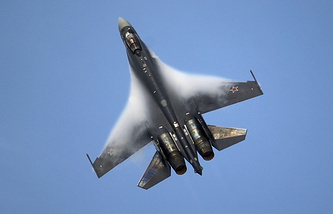 Over the past six months they flew 1,600 sorties in adverse conditions spending more than 1,000 hours in the sky over Syria to have dropped about 6,000 bombs on the terrorists," Galkin said. Earlier, a group of Sukhoi-25 fighter-bombers returned home from Syria to have landed at a base in the Krasnodar Territory. They left the Hmeimim air field on Wednesday morning. A group of Sukhoi-34 fighters returned to Russia earlier. Later, the news arrived Sukhoi-24M bombers were on their way home. The main part of Russia’s air group in Syria has been leaving Syria since March 15. President Vladimir Putin said on Monday the tasks set to the military had been coped with by and large. Deputy Defense Minister Nikolai Pankov on Tuesday said the strikes against the terrorists would continue. Russia joined the operation against terrorists in Syria on September 30, 2015 at the request of Syrian President Bashar Assad.